There are a few staple banchans (반찬) or side dishes in our household, which include different namuls (나물, marinated vegetables), myulchi-bokkeum (멸치볶음, sautéed dried anchovies) and kong-jorim (콩조림). 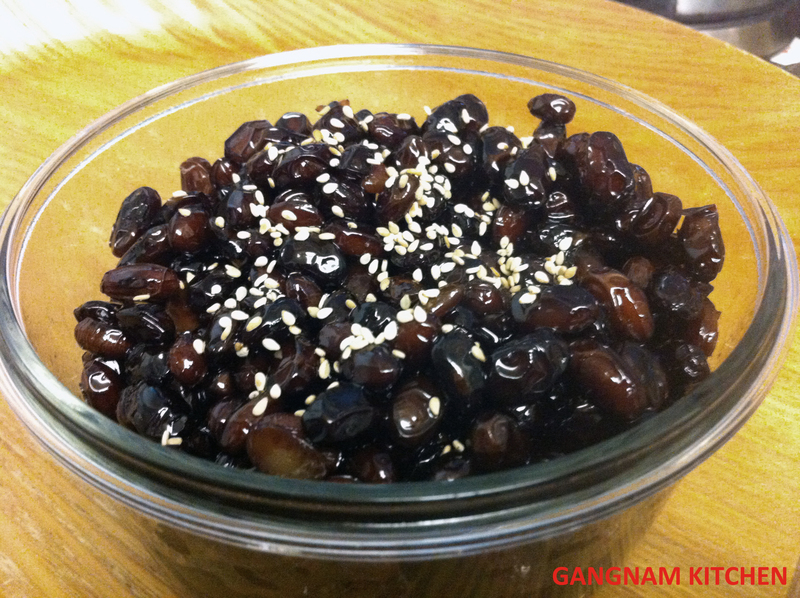 Kong-jorim is made with dried black beans marinated in sugared soy sauce. You can find the black beans in all Korean markets. Look for the ones that say 서리태 pronounced “seoritae”. This kind of bean is said to be good for the skin, prevents cancer, beneficial to high blood pressure and prevents hair loss. Once made, this healthy banchan lasts weeks in the refrigerator. Making this requires a little more patience but only a few ingredients. 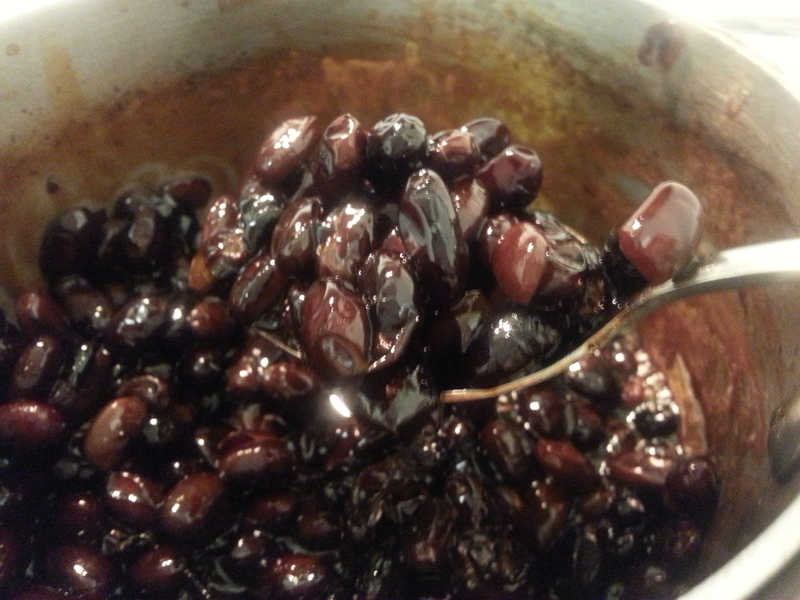 Rinse the dried black beans with water. Soak them in 1 – 2 cups of water overnight. Strain out the water. 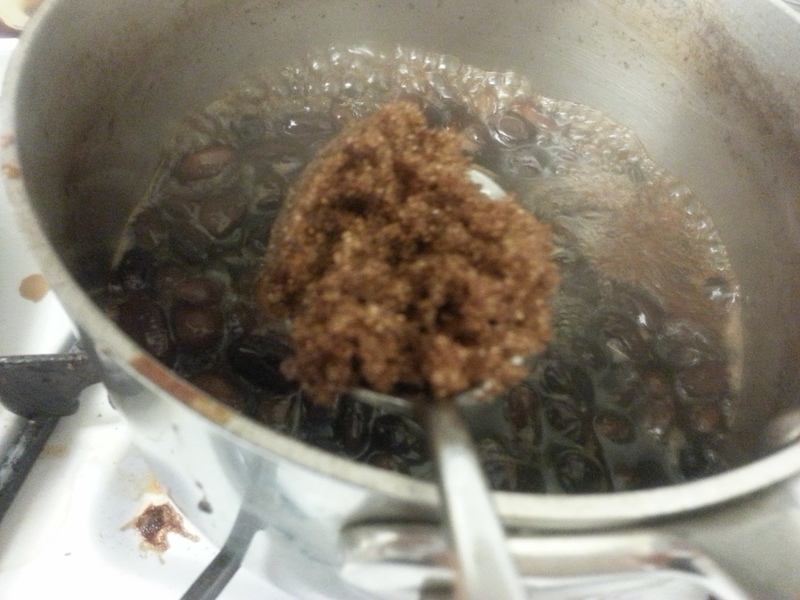 You will notice that the beans double in size once soaked. In a thick pot, add the beans and about 1 1/2 cups of water. Bring the water to a boil uncovered. Lower to medium heat and cook the beans for about 15 minutes. 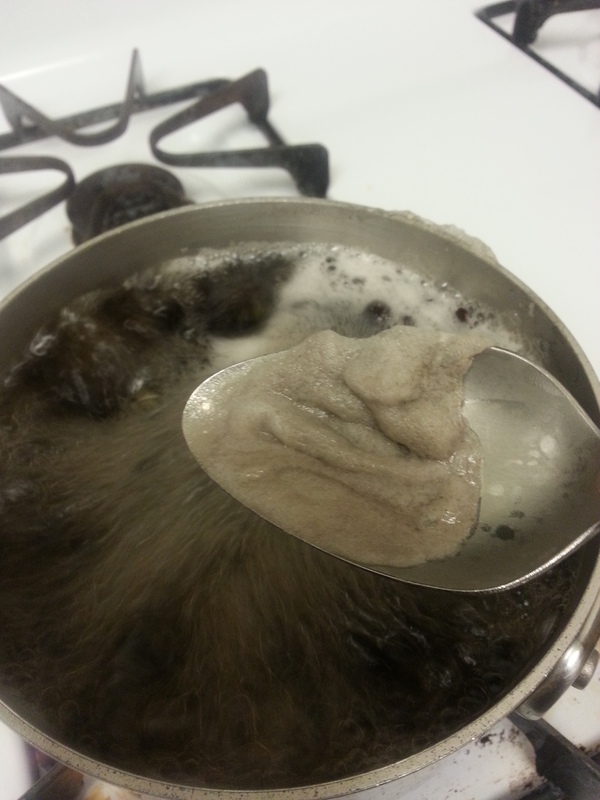 Stir occasionally and remove any foam that forms on the top. Add the rest of the ingredients EXCEPT for the sugar. 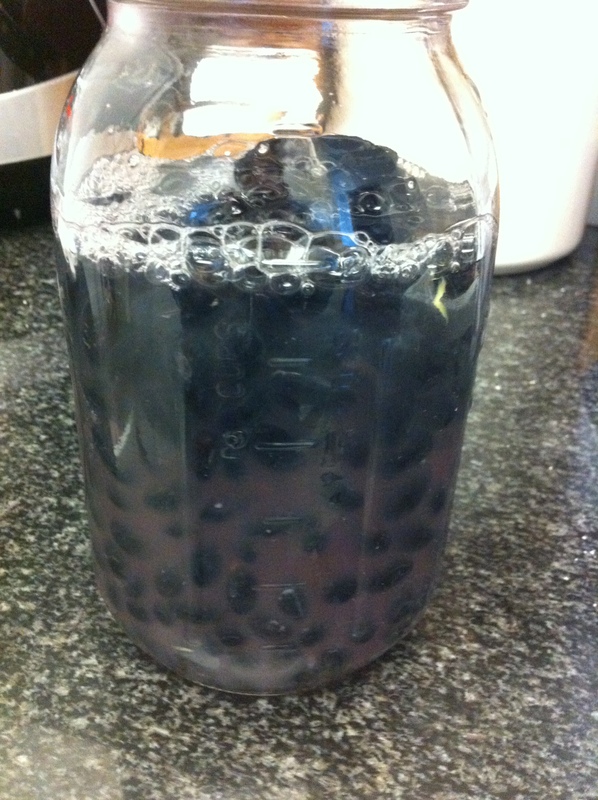 Mirin or sake added is to cut out any “bean” smell. 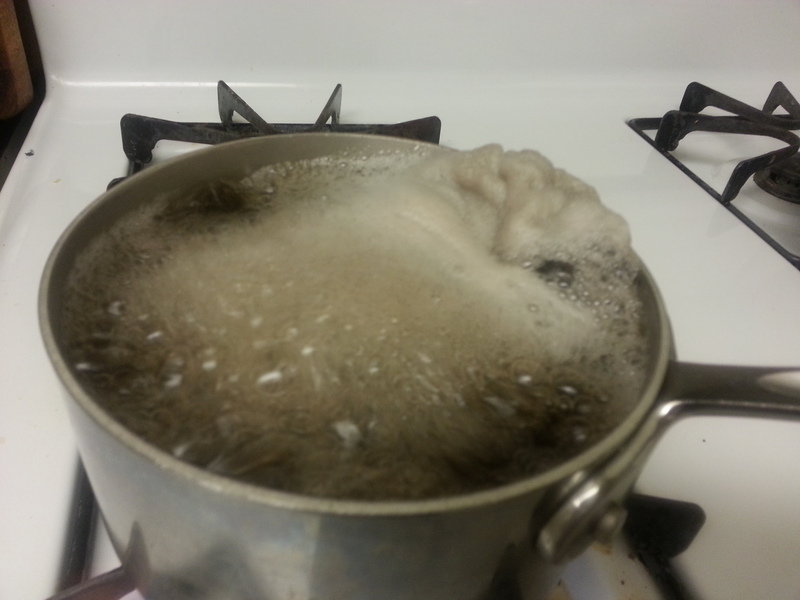 Keep an eye on the pot and stir often so it doesn’t burn at the bottom. 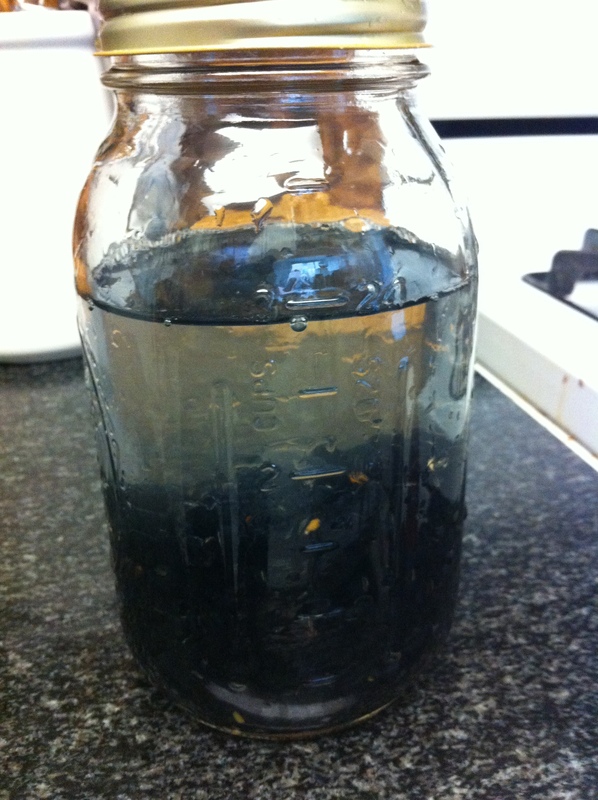 Reduce the soy sauce mixture until it thickly coats the beans with almost no liquid left. Stir in the sugar. Note: If you add the sugar with the other ingredients, the beans become rock hard. 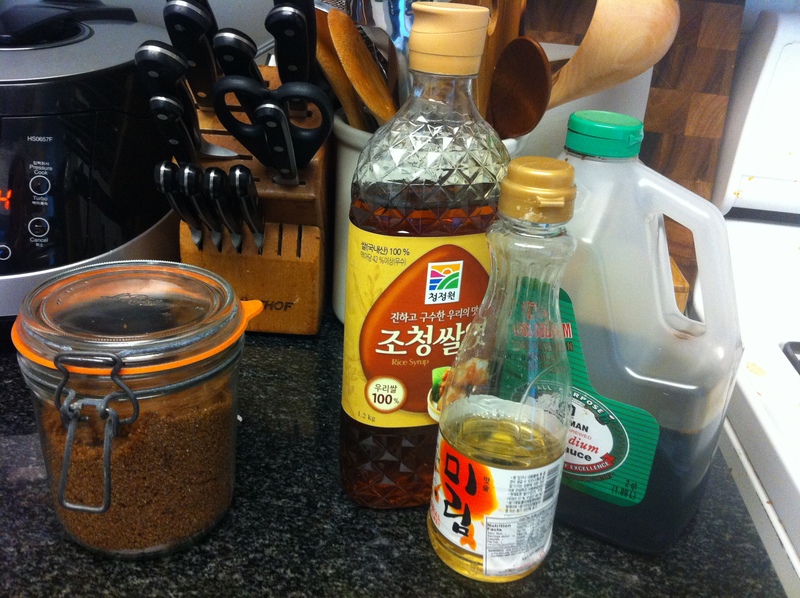 You can add a drop of sesame oil to add a little more flavor at the end although I usually do not. Garnish with toasted sesame seeds. This entry was posted in Banchan (반찬, Side Dish), Vegan/Vegetarian Options and tagged banchan, Black Beans, 반찬, 서리태, 콩조림, Kong Jorim by gangnamkitchen. Bookmark the permalink.